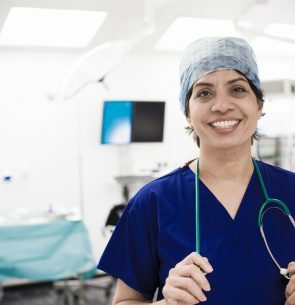 Dr Nitu Bajekal is a Senior Consultant Obstetrician and Gynaecologist in the NHS with over 30 years of clinical experience. Her special interests include medical and public education, keyhole surgery and managing complex vulval problems. She is also one of the first American board-certified Lifestyle Medicine Physicians in the UK. She is the founder of Women for Women’s Health (WfWH), a voluntary service set up to empower women of all ages to make lifestyle choices that will help improve their own health and also that of their families and friends through education. Most (80%) of what doctors see in their clinical practice is related to lifestyle, with nutrition, exercise, sleep and stress playing key roles in major chronic health conditions such as heart disease, diabetes, cancers as well as in women’s health issues such as Polycystic ovarian syndrome, menopause, bone health, lifestyle cancers amongst many other problems that women face regularly. Dr Bajekal is passionate about educating women to take charge of their own health. Through information leaflets, lectures, blogs, health events and workshops, she provides reliable up to date medical and lifestyle information for the general public, doctors, workplaces and schools. Young people especially are at the right stage where making small changes can have a tremendous impact on their future health. She herself is a committed and passionate vegan and has personally benefited from following a whole plant based lifestyle. Dr Nitu Bajekal will explore the relationship between the whole foods plant-based (WFPB) way of eating and women’s health. The difference between a WFPB diet and a vegan diet as well as the positive effects on many aspects of women’s health with this way of eating will be discussed. Specific topics such as PCOS, endometriosis, painful heavy periods and menopause will be discussed with myth busting followed by a Q&A.